Reverse mortgages are available to senior homeowners 62 and over, even married couples. The borrower will live mortgage payment free and always retain the title to the home. There are many myths and misconceptions that surround reverse mortgages – but there are also some not-so-known perks to the loans. Fortunately, there are safeguards in place to address this issue. Almost all reverse mortgage are FHA insured. This means under current guidelines there is a large equity reserve that will always protect their home from going upside down. Even if the homeowner lives to be 110, has used all the equity in the home, and the market has crashed – the heir will NEVER owe more than the home is worth. FHA/HUD have guaranteed that they will cover the bank’s losses should the situation arise. This leaves the homeowner and their estate protected against any possible losses. It’s important to also know that on the flip side, if the home is worth more than it sells for after the owners passing, the heirs will receive any excess equity available. The bank will never take more than what is needed to pay off the loan. For many years, there were only two ways to tap into home equity when obtaining a reverse mortgage – a lump sum or monthly installments. This is has changed and HUD has added two new options – a Reverse Mortgage Line of Credit (HECM-LOC) which works similar to a Home Equity Line of Credit (HELOC), with the exception the borrowers will NOT be required to make repayments, and the other option is a Reverse Mortgage for Purchase, which allows seniors to use a reverse mortgage to make a home purchase. The line of credit is just as it sounds, it is a line of credit with funds that are available for the homeowner to take when they need it. But the major benefit to this line of credit is it also has a growth factor attached to it. This means that any money left in the line of credit will grow at a rate that is equal to the interest rate and mortgage insurance rates on the loan. Imagine your HECM-LOC has an interest rate of 4.5% and a mortgage insurance rate of .5%. The combined rate is 5.0%. You have $100,000 in this line of credit which you don’t plan on using for 15 years unless you need it. That $100,000 is going to grow by 5% annually until you begin accessing those funds. After year one this line of credit is up to $105,000. After year five the LOC is up to $127,500. And After 15 years the total funds in the line of credit are up to nearly $208,000. In 15 years, that 5% return has grown his available funds by 108%! Although the Reverse Mortgage for Purchase program has been around for some years, it’s still relatively unknown – even in the real estate community. Reverse mortgages are an excellent option for retirees looking to buy a home near or far. These loans require a down payment at the time of purchase, but beyond that there are quite a few differences than using a conventional mortgage. Borrowers are often able to purchase outside their expected “cash purchase” price range, because the cash is used as a down payment and the remainder of the purchase amount is covered under the reverse mortgage loan, while the borrower lives mortgage payment free. The borrower will also always retain the title to the home, just as they would with a conventional mortgage. 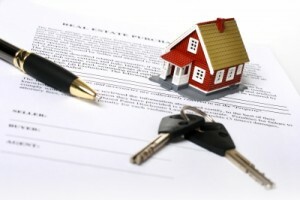 These loans are also FHA insured, so everything discussed above still applies in that regard. The borrower can own other properties and still qualify as long as the home being purchased is their primary residence. Jan Jordan is a Reverse Mortgage Specialist serving the Fort Collins, Loveland, Greeley, Longmont, Boulder and other Front Range areas of Colorado, as well as the Cheyenne and Laramie communities of Wyoming. Contact Jan and learn if reverse mortgage is right for you.